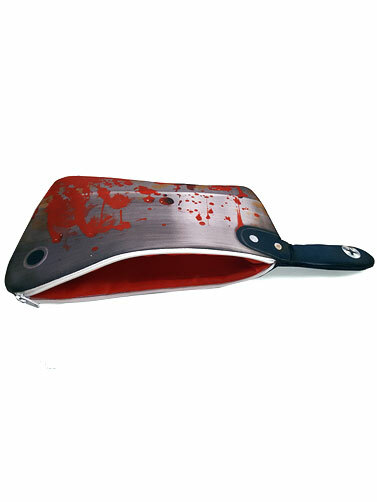 Our Bloody Cleaver Cosmetic Bag accessory will compliment a number of Halloween costumes and is just the right size for carrying makeup and small personal items. Nylon zippered bag has a bloody cleaver print on both sides with a soft foam filling and red fabric lining. 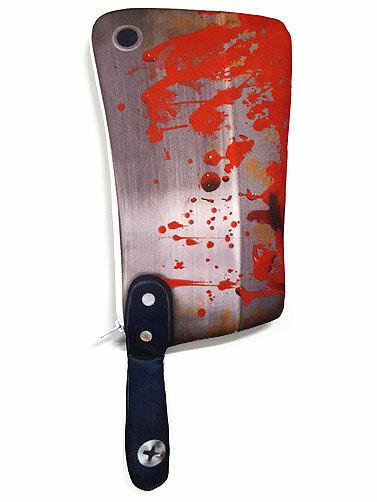 Bloody Cleaver Cosmetic Bag measures 14"L x 6.25"H.